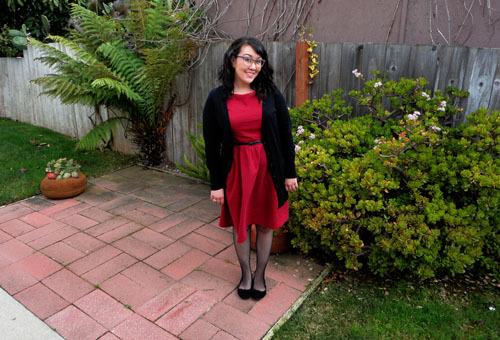 My dress was on The Sew Weekly yesterday. It's so cool being on a website that I LOVE and to be posting among seamstresses that I admire so much makes me giddy. If you aren't familiar with the site, let me tell you a bit about it. Every week there is a new challenge that those participating must follow along with. This week it was to make something in red. I bought this fabric a couple of months back in preparation for the challenge and I am so happy with how everything turned out. 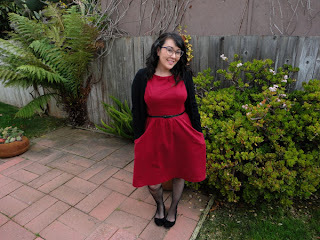 I sewed this pattern almost exactly a year ago and what a difference a year makes! 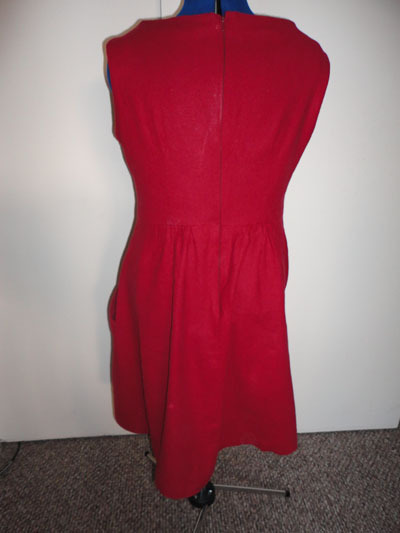 I have learned SO much about sewing since then and this time making it was a breeze. Before, I struggled with reading the pattern, deciphering symbols, understanding new concepts, and those pockets, ughhh! The second time was the exact opposite, it took me several hours spread over a few days, not over several months. Here is one reason that washing fabric beforehand is so important. I used those color catchers that you throw in the wash and look at how much came off! I am a fan of invisible zippers too. The end look is really nice. Although some of Gertie's lapped zippers suit the look she's going for. Still, I like my invisible zippers. Wow, that is a crazy amount of dye. woHOah. what are these color catchers you speak of? i love those pockets, and count me in as an invisible zip fan. i buy them in all candy colors, always forgetting they'll be, erm, invisible. 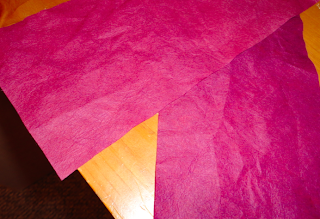 Basically you throw a sheet or two in the wash and if your fabric bleeds the color is absorbed onto the sheet. It saves your other clothes from getting stained. The sheets have definitely saved me a few times! Oh, and those color catchers were white before I put them in the wash! So crazy! The fabric I posted for my Joan dress is the same type of fabric, so I will make sure to use the color catchers for that too. 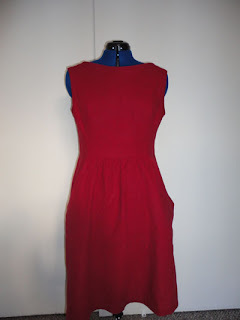 Have you tried following the instructions from the Colette Patterns book? It helped me tremendously! Really, really cute! You look great in red!! You pretty thang! Such a lovely dress and color. I've never seen those wonders of laundry science, either. Very cool.